It’s delicious! 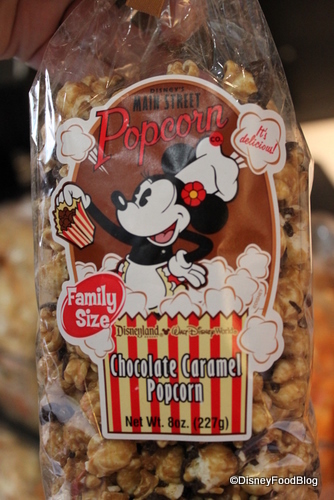 Popping up all over Walt Disney World and Disneyland, this popular snack item also makes a great take-home souvenir. The Confetti version is naturally and artificially flavored. 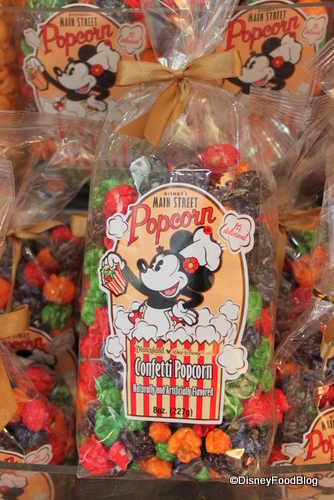 Sold for $3.95 and only 100 calories per serving, grab a bag of popcorn to munch during a Main Street parade! They’re sold in 8 oz. bags in various flavors. How about some Cinnamon Toast? While the calories and price are bumped up, they still make a terrific snack to carry with you for mid-day munching. 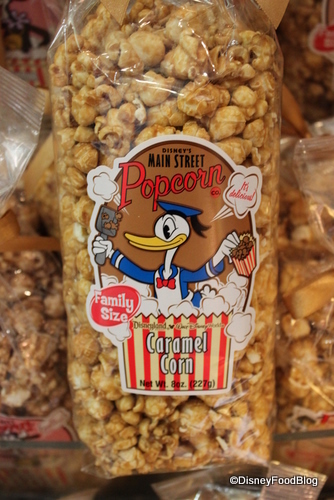 A family-favorite, Caramel Corn, can be shared with your group while waiting for the Wishes fireworks display. For some reason, we are always searching for popcorn for our son prior to Wishes. On our next visit, I’m grabbing one of these to carry with us! 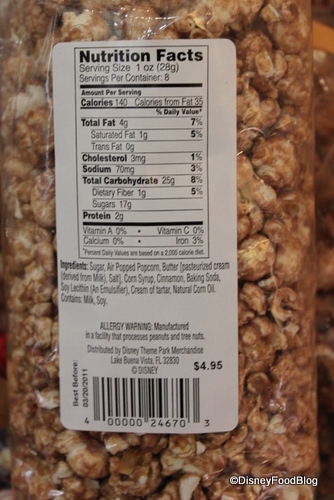 Cheddar Cheese popcorn isn’t the best value at $4.95 for only 3.5 ounces. 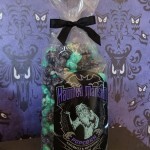 When you can’t choose just one flavor, opt for the Chocolate Caramel bag! And there’s no calories on vacation, right?! 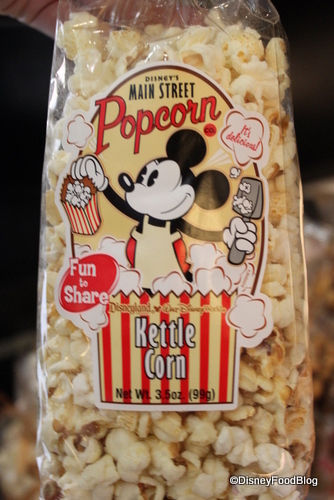 Kettle Corn is a theme park favorite. This might be another top pick for our family — only $3.95 for 3 servings! 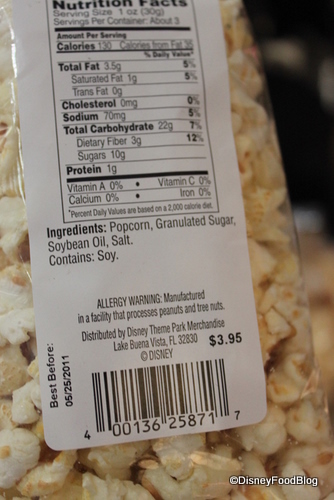 What’s your favorite popcorn flavor? 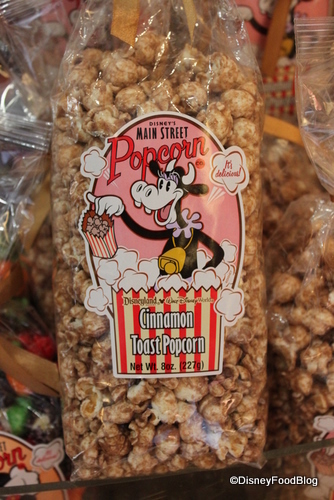 Are there times while touring WDW that you must have a popcorn snack? 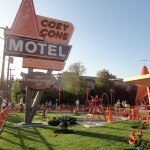 News and Review: Rainbow and World of Color Goofy’s Glaciers! These still don’t hold a candle to fresh Werther’s Original Caramel Corn! We had the cheese and the kettle corns the last time we went. 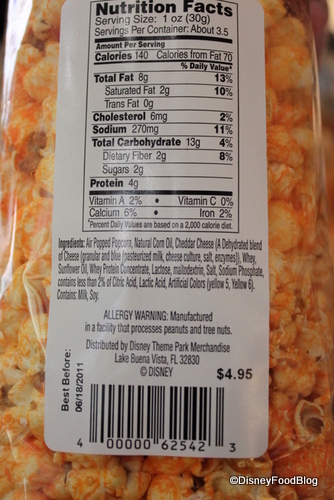 The cheese was very cheesy–orange cheese powder like on cheetohs or “blue box” mac-n-cheese—but very yummy. 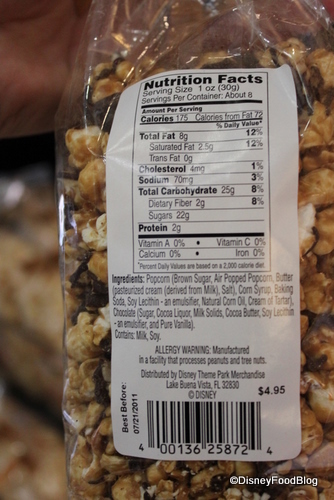 The kettle corn was sweet but not overly so, and just a hint of saltiness. Most other kettle corns I’ve had are a bit saltier. I wish they had had the cinnamon toast one at the stand by the Lights! Camera! show! 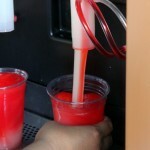 I would have loved to try that! Jen — Yum! 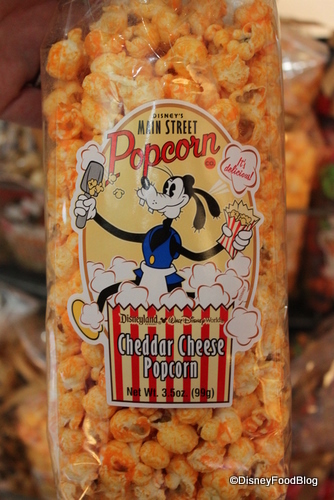 Love cheese popcorn! Gonna get some on my next trip now! 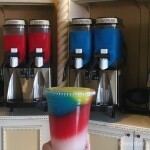 They don’t have the flavors from the Japanese parks yet. I’m dying to try those. My 9 year old is addicted to the cheese popcorn. The orange fingers and mouth though, I could do without! The confetti popcorn is rather pretty. I may have to try some next go round. 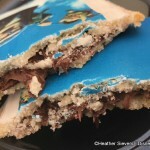 Thanks for sharing pics of the ingredients too! What flavor is the Confetti Corn? The confetti corn is cherry, blueberry, grape, orange, lime. how do I buy this popcorn online? 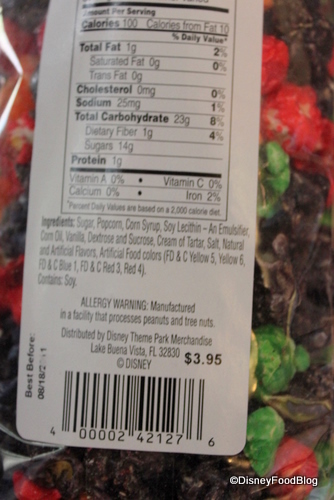 Debbie — You can try WDW Mail Order, but they don’t often ship food products. Good luck! 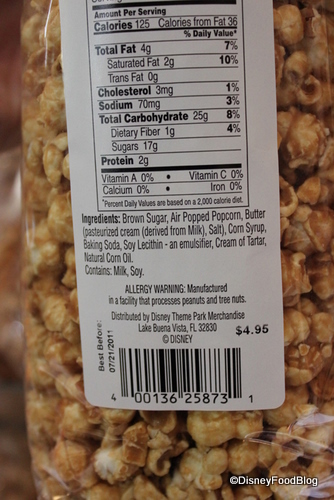 Thanks for posting the nutritional information 🙂 Kettle Corn is my fave.